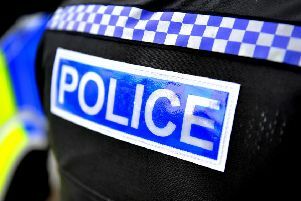 Crawley Police has raised concerns after dealing with a ‘particularly high’ number of incidents involving mental health issues. Officers were called to several incidents yesterday and in the early hours of this morning involving people suffering with ‘mental health crises’. On Twitter Crawley Police said: “The last shift of a very long and busy set is coming to a close. Whilst we have attended a great variety of incidents, the general feeling from the team is that the number of incidents involving people in mental health crisis has been particularly high. “We have dealt with people who have harmed themselves with glass and blades and their own hands. People making threats to and having taken overdoses of a variety of substances. We have supported ambulance in getting people to hospital when needed. “We have searched with cars and dogs and drones and foot for high risk missing people. We have detained people under the mental health act, signposted them to ambulance and crisis team and the police triage car for support.